Preventive vaccines are intended to train your immune system to build up an approach to fend off a particular virus or infection should it come into contact with that same infection once more. Therapeutic vaccines however empower your body’s immune system to recognize and fight certain proteins specific to cancer cells. Sipuleucel-T (Provenge®) is a cancer vaccine which unlike traditional vaccines that help to boost the body’s immune system to prevent infections, Sipuleucel-T works by boosting the immune system to attack prostate cancer cells within the body. 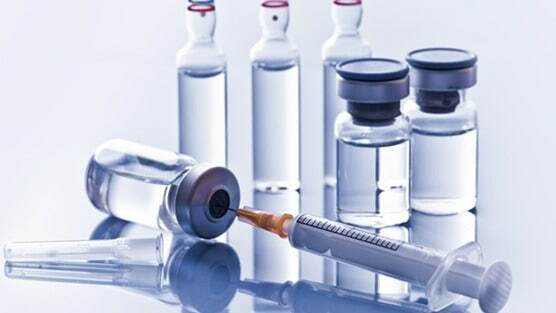 The vaccine is also used in treating advanced prostate cancer that is no longer responding to initial hormone therapy. This vaccine is made uniquely for each man. The process involves removing white blood cells (cells of the immune system) from the patient’s blood through use of a specialized machine.The harvested cells are then sent to a lab, where they are exposed to a protein called prostatic acid phosphatase taken directly from prostate cancer cells. The exposed cells are then returned to the doctor’s office or hospital, where the stimulated cells are administered to the patient through infusion into a vein (IV). This process is repeated every 2 weeks for a total of 3 treatments. The goal of treatment is to stimulate your own immune system to fight the cancerous cells in the prostate but the vaccine however hasn’t been shown to halt the growth of prostate cancer or lower a patient’s PSA levels. In addition it also seems to help men live an average of several months longer. Studies are currently being conducted to determine if the vaccine can help men with less advanced forms of prostate cancer. The aforementioned side effects more than often start during the cell infusions and will generally last no more than a day or 2. Side effects listed above that are flu-like in nature with such as fever or chills, nausea, and will generally be resolved within 3 days following treatment and can be treated with acetaminophen.